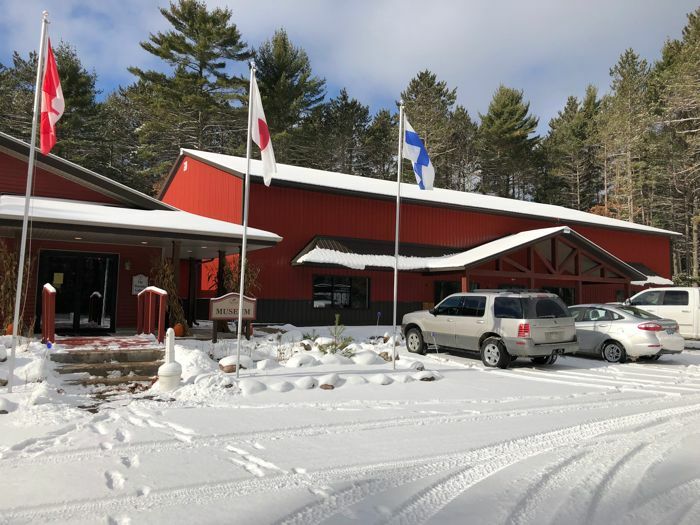 I was at the Snowmobile Hall of Fame in St. Germain, Wisconsin, over the weekend, where winter delivered a few glorious inches of snow to announce the beginning of winter at one of my favorite places in the world. There's A LOT happening at the SHOF these days. A huge 2-year New Building funding project was wildly successful, and the result is a brand-spanking-new 60 x 100-ft., 2-story display building (above) that's 95 percent finished. 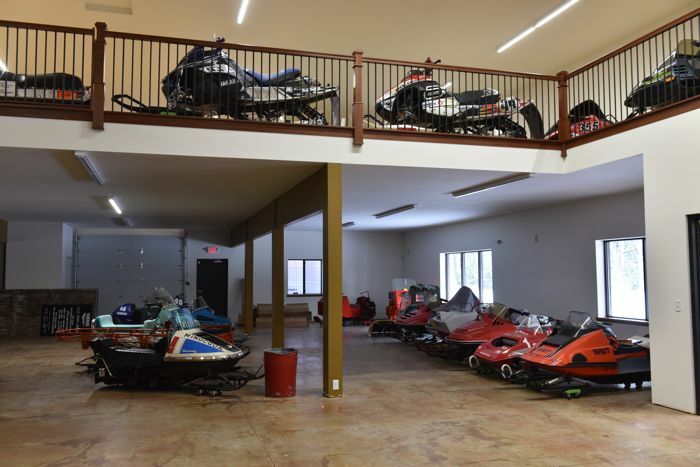 This new building will house an awesome collection of sleds that were previously in storage, as well as many other machines and memorabilia from private owners. The building was completed over the summer, and now some of the final touches are being completed on the inside. 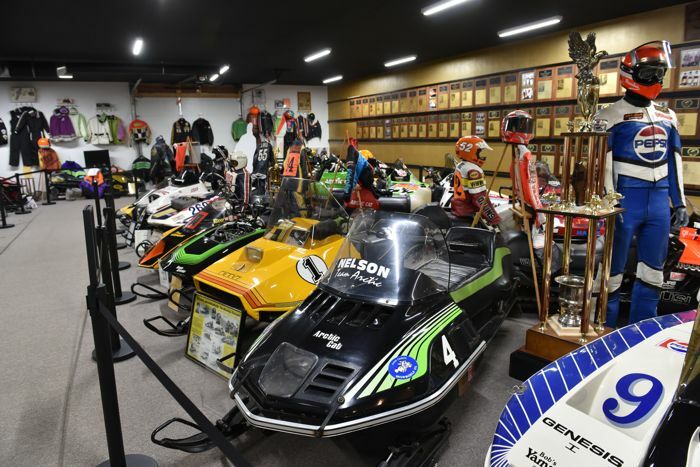 Beginning over the next 12 months or so, displays will be added to showcase the incredible machines that have highlighted the entire history of snowmobile racing. The massive space of the new building meant that we "uncrowd" the previous building (above), so the racking came down and the room opened up to breath a bit more. It's a massive improvement, as is new lighting, fixtures and other additions. The SHOF has a theme for its yearly rotating display. Right now and for the next 10 months the theme is "Then and Now." 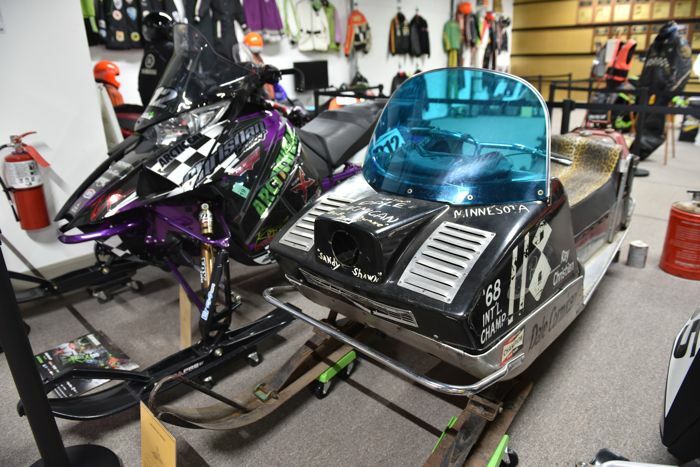 For Arctic Cat faithful, the then/now machines include Dale Cormican's 1968 I-500 cross-country winning Panther, and Zach Herfindahl's 2017 I-500-winning ZR 6000R XC race sled. These are the first and most recent I-500 XC winning Arctic Cats. 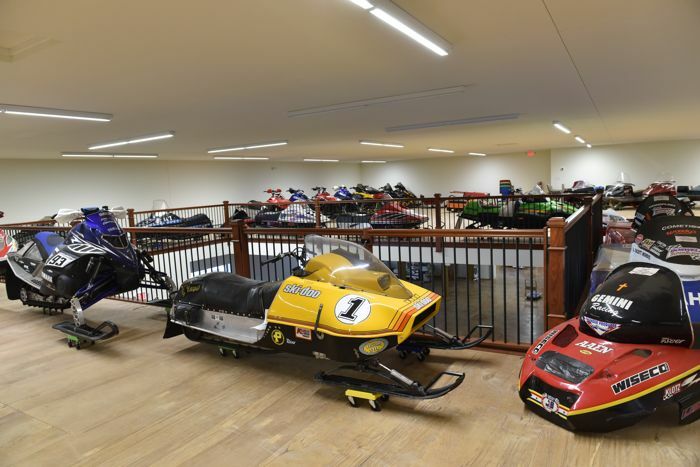 Both are at the SHOF thanks to Christian Brothers Racing out of Fertile, Minn. Christian Brothers is the team who sponsors Herfindahl (as well as Logan Christian, Jacob Yurk, Anson Scheele and David Brown. Stuart and Dwight Christian own the team, and their dad Ray happened to be the sled sponsor for Cormican in 1968. How's that for awesome?! 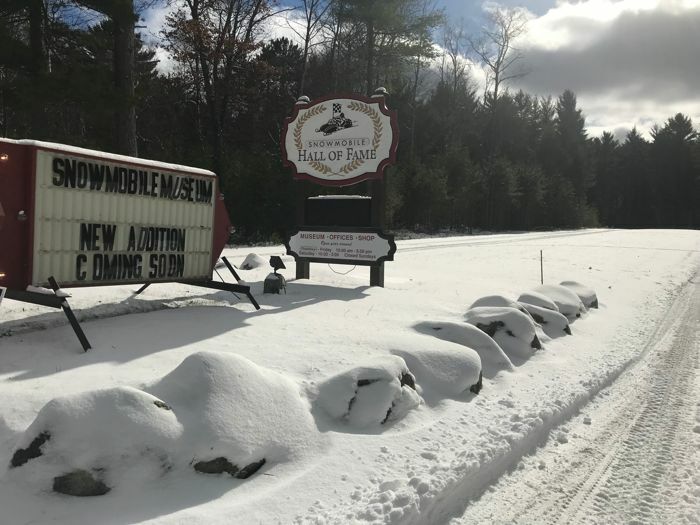 The next big event at the SHOF is 36th Annual Ride With The Champs/Induction weekend, Feb. 15-16, 2019. 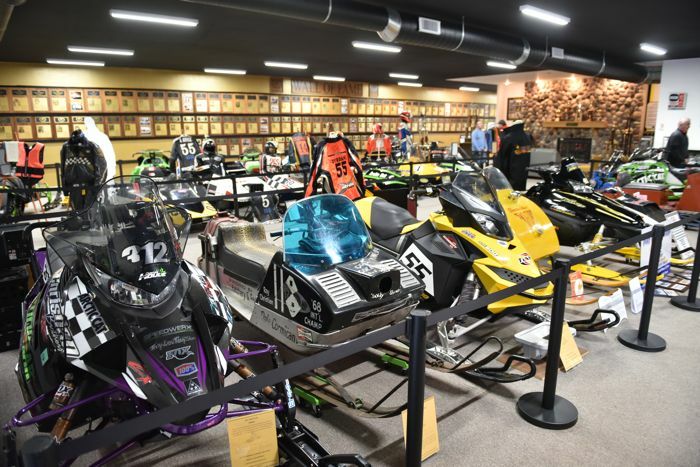 The 2019 inductees are an awesome bunch, and it's a weekend to put on your bucket list for the sheer fun, bench racing and good times. The SHOF museum is open Thurs-Sat. weekly throughout the year. It's free, its collection is incredible and worth visiting any time. Bryan Dyrdahl's I-500 winning Arctic Cat. 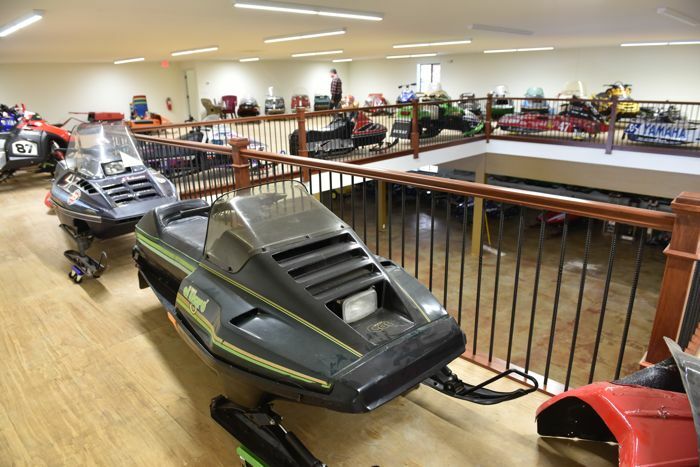 Unreal sleds on display, and this area isn't even the main area! The SHOF Board of Directors met over the weekend. There's so much energy bubbling up from this group of volunteers, and lots more great stuff coming up in the coming months in years. In the meantime, thanks for reading and I'll see you at the SHOF sometime. Flippin awesome....and Mr Sandberg has also gone above and beyond as a volunteer...well done to all who are involved! Great update! I have to make it over there sometime! Thanks for posting a great update with a bunch of sweet pic's! I can't wait to see it for my self at the RWC in Feb. Looking forward to a strong Cat representation at the 150 mile "Vintage Challenge" as Cat guys are usually half the entries. John, great article as usual! It’s been great serving with you and I look forward to seeing you in February at RWTC!! Totally off subject, has anyone checked their local dealers to see if they are getting any new 6000's this season? I've been to 2 different dealers and they have no model year 2019s. Sounds like they aren't building anymore Alpha units either just wondering??? 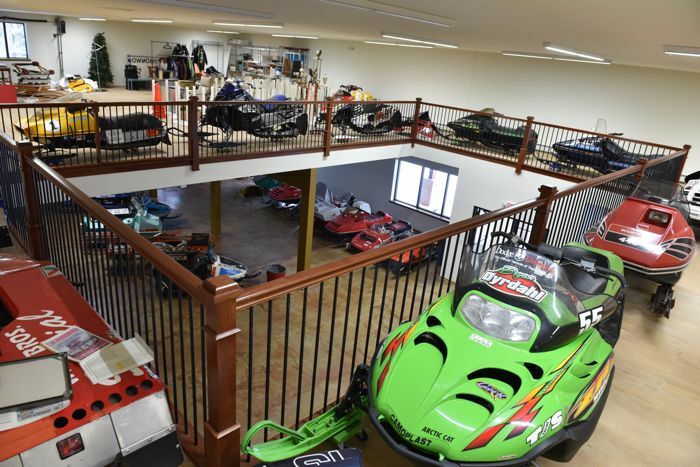 The museum is looking great, am especially looking forward to seeing it at the February Ride with the Champs event!